The first time you log in, you will see a small pop-up window that looks similar to what is shown below. If you have been given a goal key (or goal password) by someone at your school or organization, you can enter it here (more details on keys here). 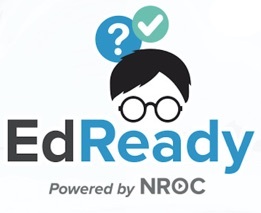 Note: this is not the same as the Confirmation Code you received in the “Confirm Your EdReady Account” email. Otherwise, you can close this window by clicking the Get Started! button or the (X) in the top right-hand corner. How do I assist students with log-in issues?